I’m a very prompt person. It’s sort of a requirement to staying married, because my husband is probably the promptest person on the planet. He subscribes to the “If you’re not early, you’re late” way of thinking, and has no tolerance for tardiness. I learned this about him when we were first dating, when he would pick me up exactly three minutes before he said he was going to be there. Every.Single.Time. Because we were in the honeymoon stages of dating, he didn’t act visibly exasperated when I said I needed “just a few more minutes” to finish getting ready. Now, 16 years later, he has no qualms about hovering outside the bathroom, asking if I’m almost ready even though he can clearly hear the hairdryer running. Despite the occasional annoyance, however, I’ve come appreciate his timeliness, and it’s rubbed off on me as well. That said, I definitely push the envelope when it comes to being on time. I know it takes me exactly 8 minutes to get to my daughters’ school, 13 minutes to get to my gym, 12 minutes to get to church, and 9 minutes to get to the gymnastics facility, and I can usually perfectly calculate how many minutes it will take me to get gas, pick up a few items at the grocery store, and drop off a package at the post office before arriving to an appointment just in time. When I think I know exactly how long it will take me to get somewhere, I’ll squeeze every last second trying to get one more load of laundry thrown in, one more chapter read, one more email returned, or one more errand accomplished before I head to my destination. If something throws me off track, though — unexpected traffic, a detour, an almost-empty gas tank, someone holding up the check-out line, a child who suddenly needs the bathroom, forgetting something at home, a family of ducks crossing the street (actually that hasn’t happened yet in Houston; are there not ducks here?) — then that panicky, stressed out feeling sets in. Even if I still get where I’m going on time, I’m completely frazzled when I arrive. So I’ve given myself this challenge: Instead of leaving when I think I need to leave, I leave a full 15 minutes earlier. I can chat with my elderly neighbor for a few minutes if I see her outside, instead of just waving as I’m peeling out of the driveway. I can stay calm if I hit an unexpected traffic jam or a detour instead of getting all angst-ridden and muttering curse words under my breath. I can be a more generous driver, willing to let people cut in front of me on the highway instead of trying to speed ahead. I can enjoy the outdoors more. If I get to a meeting or appointment early on a beautiful day, I’ll get out of my car and sit in the sun for a few minutes before heading inside. I can get my act together. I’m less likely to leave things in the car, and I can go over my list again to see if there’s anything else I need to add, etc. I can be open. I’m not naturally a “chat up random strangers” type of person, but you never know what might happen or who you might meet when you’re one of the first ones to arrive. I can just be. If I get somewhere early, my natural inclination is to want to get out my phone and send a text or an email or make a quick call. But sometimes it’s nice to just breathe and embrace the stillness for a while. 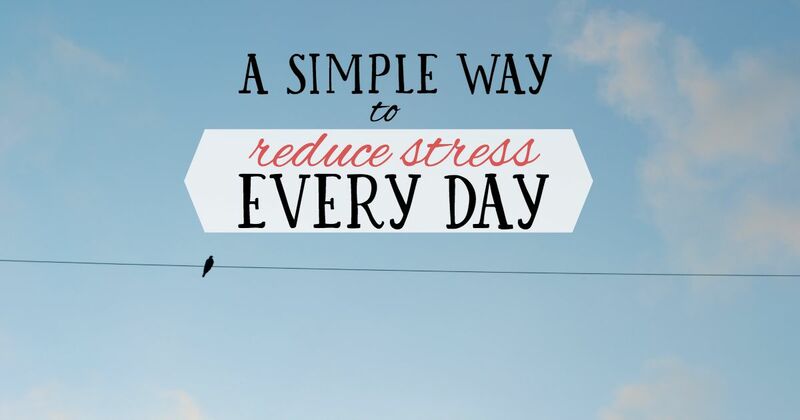 If you find yourself feeling rushed and frazzled on a regular basis, I encourage you to try this challenge and see if it helps. Fifteen minutes is a small amount of time, but it can make a big difference to your state of mind. I am going to make sure my husband sees this blog as he likes to push the envelope, but I like to be early. It is so unnerving to be worried about arriving late. I’m sorry to say or maybe not that your husband got that trait from his mother??? Scott and I are of the same mindset. When I do movie Fridays, everyone knows I’ll be at the theater about 20-30 minutes before it starts, and that if I can’t be there by then, I’ll feel rushed and won’t want to go. Leaving early is always a good thing! Ha–I think movies are the only times I go purposely late. I can’t stand all of the previews! Then again, that’s because it’s usually a kid movie and kid movie previews are pretty terrible.